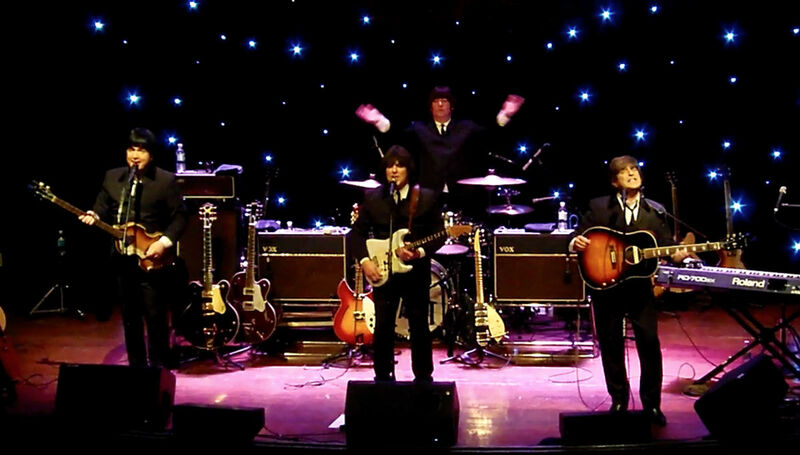 The Cast of Beatlemania is a U.S. Beatles' tribute band formed in 1980. The Cast is one of longest running Beatles' tribute band in the world. The group currently features Lenie Colacino, a former cast member of the 1977 Broadway musical Beatlemania. The "CAST of BEATLEMANIA" is an incredible musical and visual tribute that flawlessly recreates the sights and sounds of world's best rock band, The BEATLES. So faithful to the original, you'll be transported back in time when the world was engulfed in the most pleasant fever of all: BEATLEMANIA! The musical repertoire spans beloved classics, from "HELP" in the early 1960s through the psychedelic era of Sgt. Pepper's Lonely Hearts Club and and Let It Be". with three different costume changes coincide with the changing music and times. As masterful musicians and supremely talented performers, the CAST Of BEATLEMANIA is a LIVE show - with authentic equipment and guitars, right down to a left-handed Hofner violin bass.